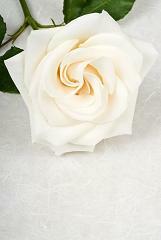 Free funeral speeches - express your respect, your loss and your happy memories. Whether it is a eulogy for a friend or even a funeral verse for a card, it can be really hard to capture the essence of your loss and empathy. Funerals are a time to acknowledge your loss and to reaffirm special qualities and memories that will be sadly missed, but always cherished. How does one express the amazing essence and spirit of [insert name] - his / her selfless generosity, uncompromising belief in all that is good and his/ her unwavering commitment to family and friends? Words, even the very best of words, cannot pay tribute or truly capture the sense of loss that we are all feeling today. The loss is there, tangible and real within everyone...but [insert name] exemplified life, love, laughter and an irrepressible belief and faith in seeing the best in everything...even loss. And so today we honor him / her, by profoundly feeling and expressing our loss, but also by remembering [insert name] - an amazing person who has played a unique and special role in all of our lives. And in all the tomorrows we'll feel you - gone in some ways, but your presence ever near. Free funeral speeches can be adapted for a friend, a colleague, a partner or an acquaintance - words of comfort for sympathy all have one universal thing in common...they all express how much a special person will be missed.